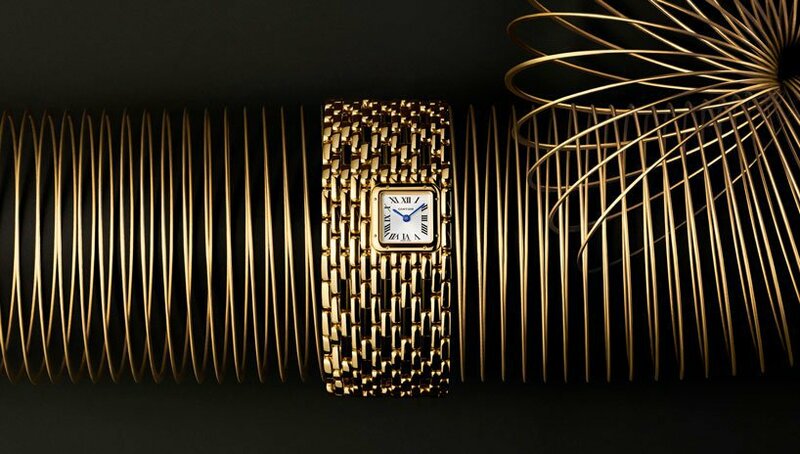 In the latest line of capsules celebrating the evolution of watches throughout history, cartier puts a fresh spin on iconic silhouettes found in its archives. The french house debuts refreshed versions of the newly launched santos collection alongside new additions to the experimental libre series and the iconic panthère. 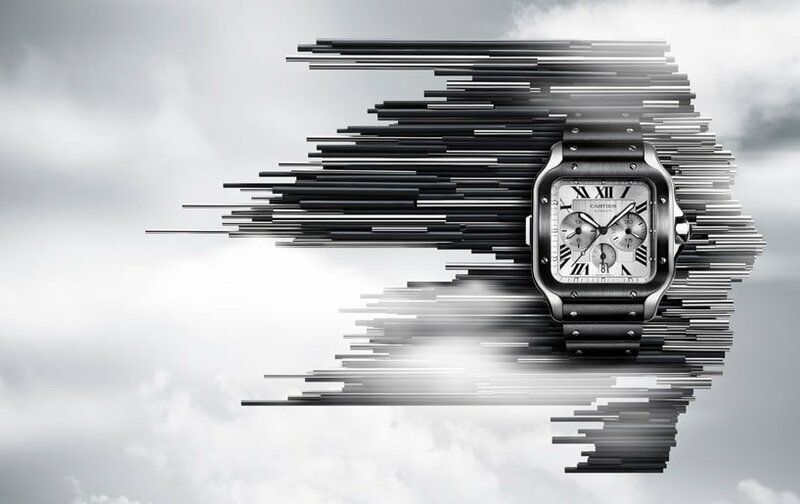 Following its first appearance last year, cartier expands on its santos collection for 2019 with a chronograph, a skeleton ‘noctambule’, coloured dials and the santos-dumont. Understated, pared-down and fitted to an alligator leather strap, the new design remains true to the elegance of the original 1904 model and is available in large and small sizes. Cased in pink gold, gold and steel or all steel, it features roman numerals, visible screws, a beaded winding crown and blue cabochon, all elements which perpetuate the heritage of this major watchmaking classic. The watch is available in a large model with a blue gradient dial featuring silver roman numerals and hands that offer a readable contrast against the deep hues in the background. 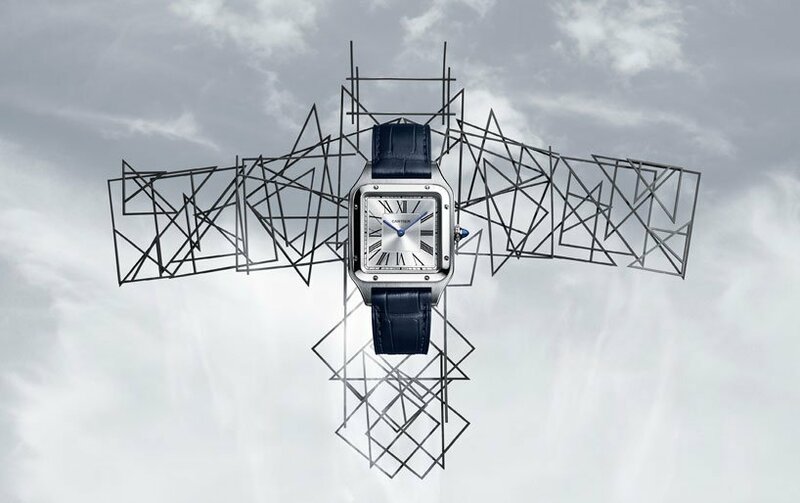 Cartier has also added the new santos de cartier chronograph which takes its heritage into the 21st century. cartier gave it a single start/stop push button, visible at 9 o’clock, with the reset function being directly integrated into the crown. This lighter design naturally leads to lighter movements. The piece is fitted with the 1904-CH MC manufacture movement, which distills the chronograph’s ingenious guidance and coordination systems – column wheel, vertical clutch, and linear reset hammer – while demonstrating superb craftsmanship. 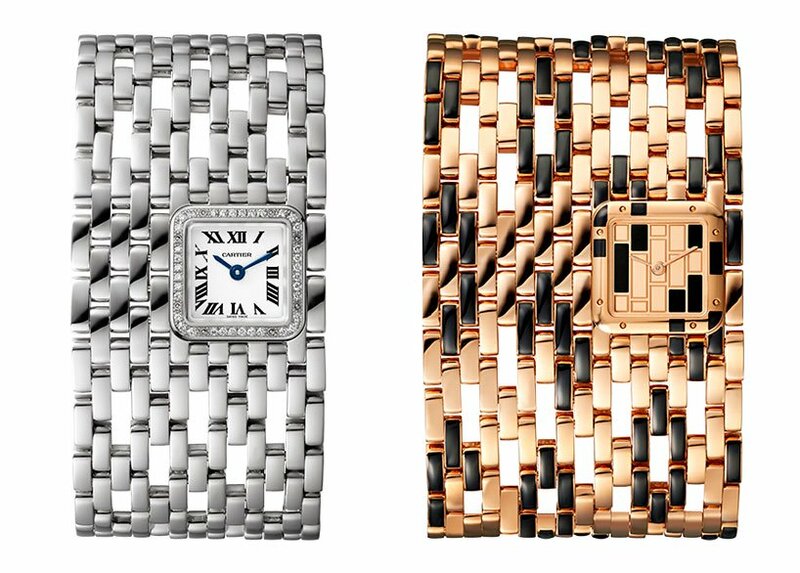 Cartier also welcomes new jewelry designs which form part of its libre collection, known for its creative interpretation of watchmaking. The libre tank chinoise red watch is a revival of a design from the cartier archives that was first created in 1921. 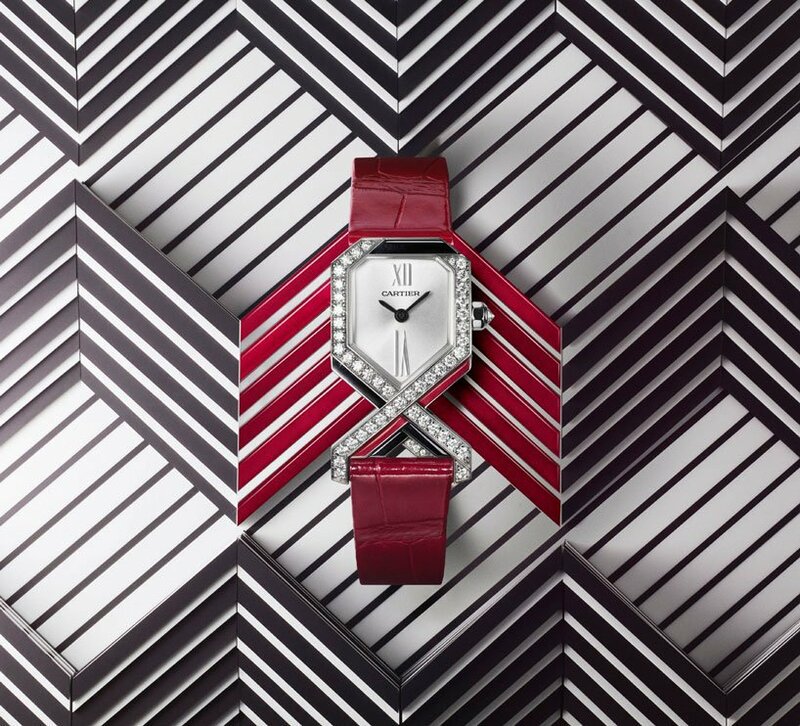 This new rendition features rubies, diamonds and black enamel for an overall art deco look. Another piece is the diagonale which also borrows its shape from the archive, featuring black and red enamel alongside diamonds. The panthère also reappears this year in a mini version and as a cuff available in various precious metals with black lacquer and diamond details. In the manchette watch, the house accentuates the bracelet of the panthère de cartier watch where the dial sits off-centered in an open-worked chain. Meanwhile, the mini watch is stylistic exercise concentrating on proportion. a replica of the original model, it takes its forms to new heights of this delicate jewel lends itself to pairings or accumulations of several bracelets.